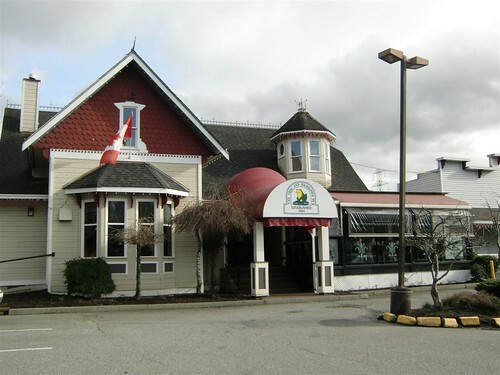 Vera's is a place I tried long ago, when they first opened up in Vancouver. It seemed like such a long time ago, that I thought I should try it again. 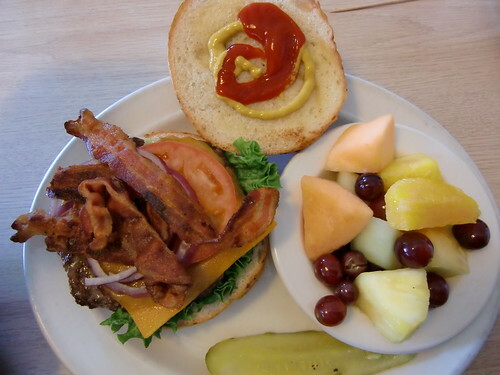 I had the Baja Burger, which starts on a toasted kaiser and comes with their standard 6 oz flame grilled burger, with guacamole, salsa, cheese and banana peppers; I added lettuce, tomato and bacon to mine. After the wait of 15 mins, I got my burger. It felt big in my hands. Unfortunately, I was in a rush and I had to wolf it down, but I must say, I enjoyed every bite. I wouldn't hesitate to go back. Very tasty !! Well, I was doing some work at this location, so I decided to try it out. 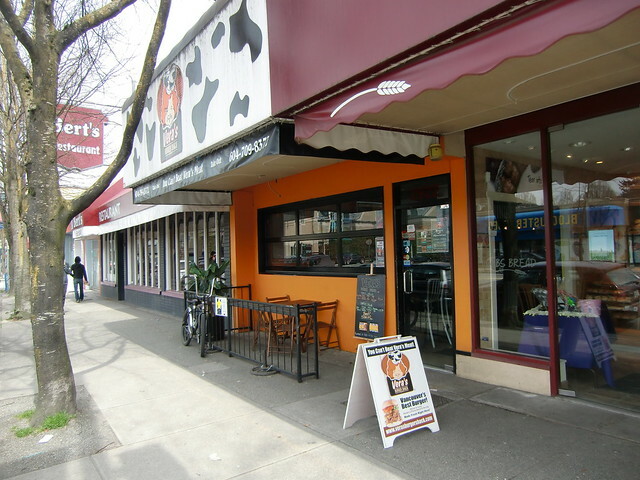 Before I went, I checked out their online menu and was pleasantly surprised by the looks of their new Bacon 'N Beef Burgers - So I had to try it out. 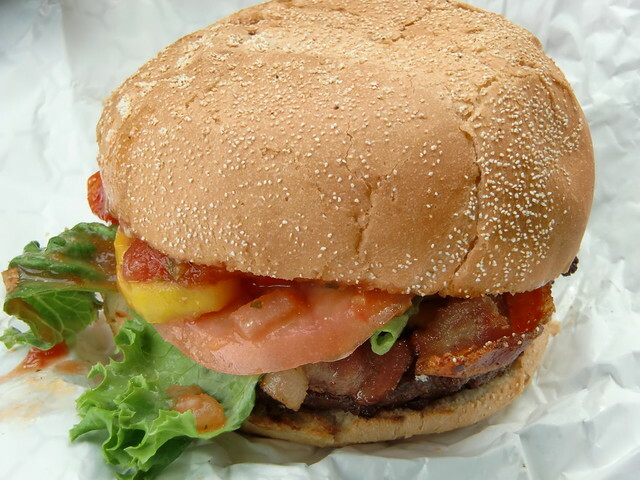 They are advertised as "Hickory-smoked bacon is blended right into the beef to make our burgers juicy and delicious with bacon flavor in every bite." I ordered the Bacon 'N Beef Bacon Cheeseburger. I was eagerly awaiting my burger and when it finally arrived, the wind blew out of my sails. The bun was good; however, it was smothered with butter. The burger patty was kind of small (probably 5 oz) and was not juicy as advertised. And I didn't see any bacon in the beef. The taste was alright, but at this price, I was not impressed. 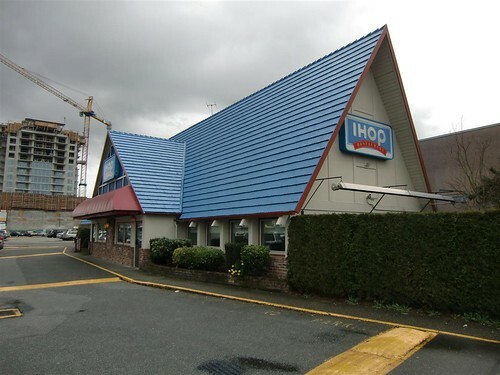 I think IHOP should stick to pancakes ! 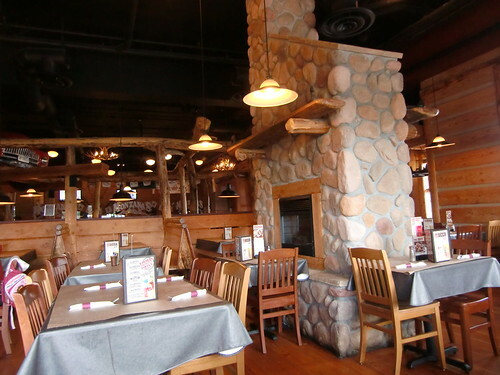 Well, I decided to try Montana's today, because I had a coupon from the Entertainment Book. Montana's prides themselves on their meat, but ribs are their feature product. 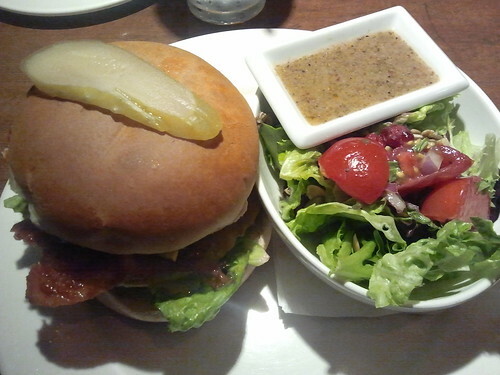 The burger was the 'Classic Sirloin Burger' - advertised as a juicy, lightly seasoned burger. 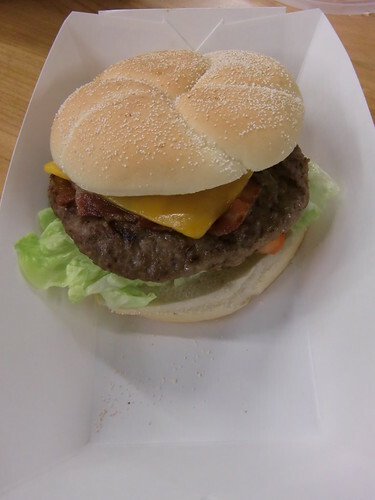 It was actually not juicy at all, with little flavour - likely a frozen patty, that many restaurants use. The burger itself was kind of okay, but I have had many better. When flavourless pattys like this are used, it really helps to have a good sauce to kick up the flavour - this one didn't have that kicker. In this category, I would much rather have a burger from Burger Heaven, Burger's Etc. 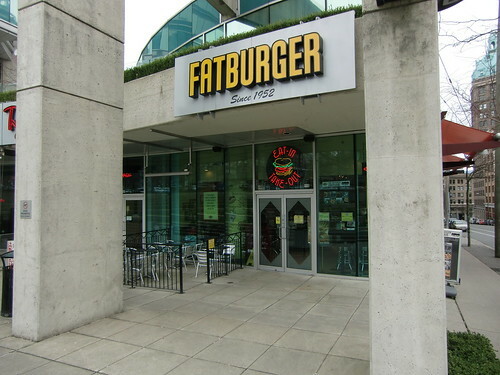 or Fatburger. After a long time of thinking about going to this place, I finally got around to it. I had the fully loaded King burger with bacon. This is a 1/2 pound made-to-order burger, grilled on the flat-top. After getting my hands around this behemoth, I enjoyed every bite. I can't believe I waited so long. 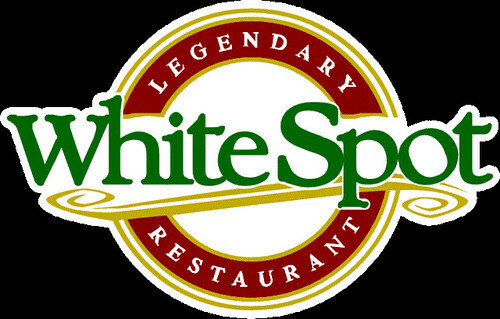 I will definitely go back here and highly recommend it - make sure you get it with bacon ! I decided to try another pub burger. I had the Frog Burger - it's an in-house made 6 oz all beef patty, with bacon, cheddar, mushrooms, lettuce, tomato and red onions. 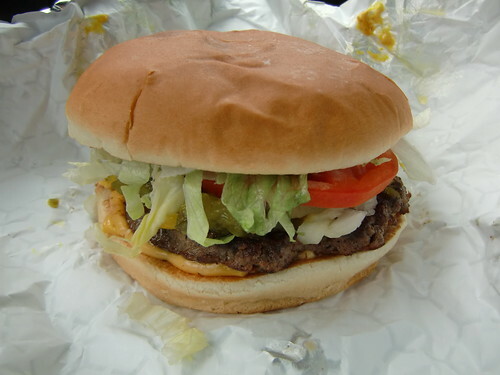 I don't know why, but it took forever to get the burger and once I got it, it was so soggy from the grease overload. The take-out container was also way too small. 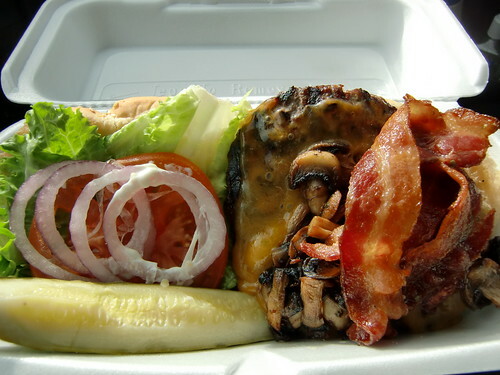 When I opened the container, the burger smelled great and looked alright, but it was just too greasy for my liking. Not too bad on the taste, but heavy in the stomach. Here's another 'burger abroad'. 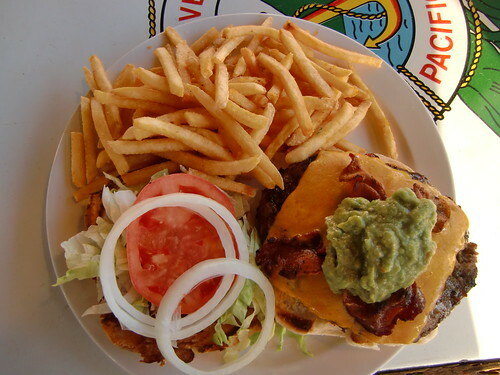 This one-half pound burger (from the Maui Cattle Company) is called the Magnum Burger; it is topped with cheddar cheese, bacon and guacamole - Everything that I like. 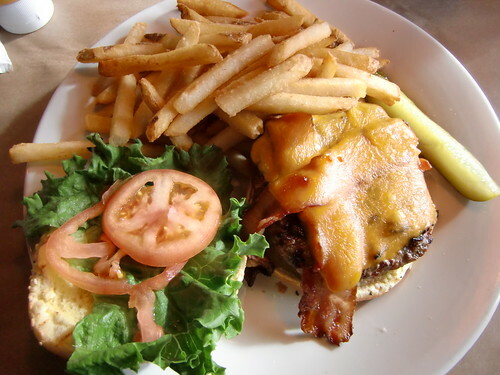 Eating this burger was pure bliss - juicy and I could really taste the bacon, which is not always the case with burgers. I highly recommend this burger ! Based on taste and price, this burger ranks very high overall. I didn't have many choices for burgers in the US departures terminal at YVR, so I tried the hamburger at the Pacific Grill. This must have been one of the worst burgers I have ever had. It was dry and bland. And for the price ($8.47 pre tax), it was especially bad ! I could have had a burger at Burger King and I would have enjoyed it much more. It goes without saying, that I would not have this burger again. 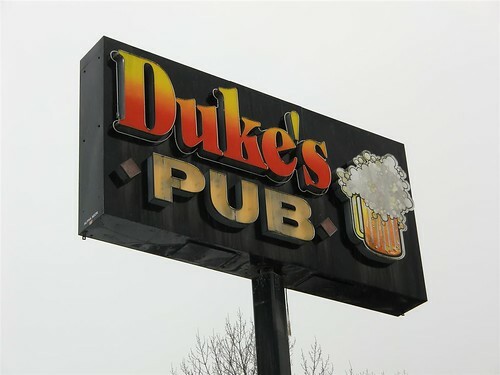 Well, I was out in Chilliwack today, so I decided to try out Duke's Pub, near the Chilliwack Golf Club. 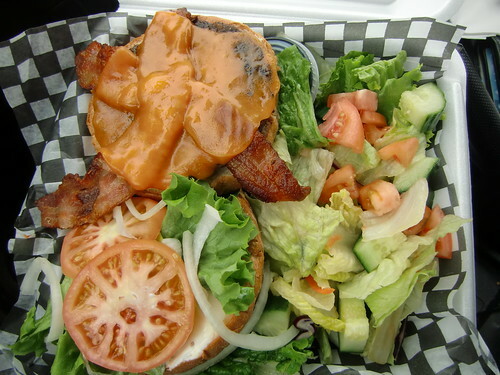 I had the Canadian Burger, which is a 6 oz lean beef burger with cheddar and bacon. The presentation was great and it tasted great too. 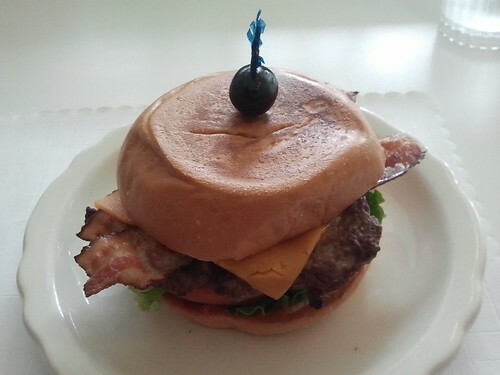 The burger, being a lean cut, wasn't too juicy and flavourful, but the bacon and cheddar really helped this burger out. 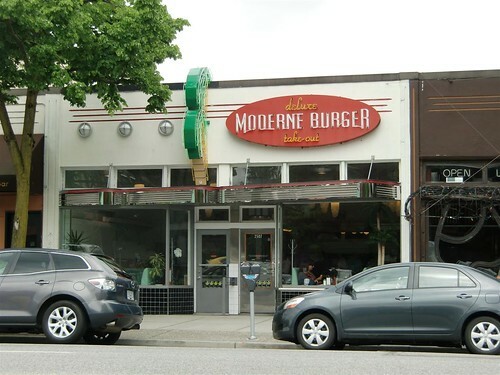 If I'm in the area, I would definitely go back here - Its a great tasting burger and I don't have a greasy feeling in my stomach ! Inside, the pub is dark (as many pubs are) and the country music was a blaring ! There's also a huge steer horn over the back of the bar. Generally, this is a great pub.